The DNA communication that streams through the cell isn’t always a top-down affair, a matter of the nucleus issuing directives, in the form of DNA-coded templates, to other cellular components. Sometimes, the relatively lowly mitochondria issue directives—and the nucleus complies. 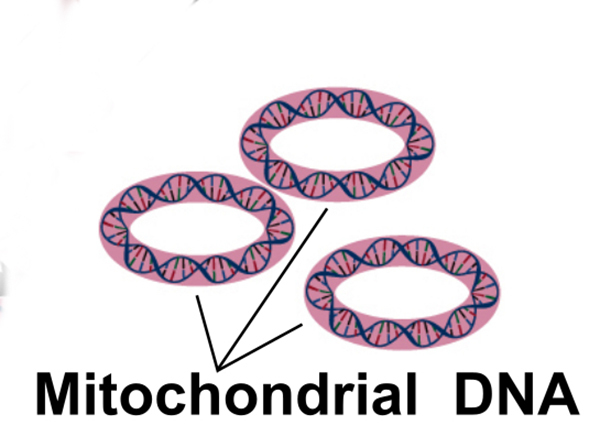 According to a new study from the University of Southern California (USC), mitochondria use a bit of their DNA to encode a protein that can enter the nucleus and regulate the expression of nuclear DNA. This mitochondria-to-DNA messaging activates an antioxidant response, helping the cell cope with metabolic stress. In addition, this kind of messaging is of interest for a more general reason. It shows that the mitochondrial and nuclear genomes co-evolved to independently cross-regulate each other. Mitonuclear communication, the USC scientists speculate, may be genetically integrated. Understanding how DNA communication is hardwired into the cell will lead more researchers to appreciate the coordination of genes encoded in both genomes, said Changhan David Lee, Ph.D., an assistant professor of gerontology at USC. Moreover, appreciating the contributions of both genomes will help illuminate their role in aging and disease. Working with human cells, Lee and colleagues showed that metabolic stress triggers 5′-adenosine monophosphate-activated protein kinase (AMPK)–dependent translocation of a protein called MOTS-c. This protein, which is encoded in the mitochondrial genome, localizes to the nucleus, binds to chromatin, regulates nuclear gene expression, and promotes resistance to metabolic stress. “Most diseases are due to aging, and aging leads to a breakdown in cell functions,” Lee continued. “When things go wrong in the body, it's because some mechanism in the body went wrong. So, understanding how cells age means we have more insight into how the damage occurs and how we can prevent or fix it.